Christmas just ain’t Christmas without the one you love. The O’Jays knew what they were talking about when they penned the popular tune. The star-studded cast of UPTV Network’s holiday film Marry Us For Christmas reflects that with a heaping dose of reality. The must-see family film debuted on December 7 starring Malinda Williams, Karon Joseph Riley, Victoria Rowell, Kristoff St. John, GregAlan Williams, Marques Houston, Carl Payne, DeEtta West, Dawn Halfkenny and Chrystale Wilson. Tensions were high as an engaged Marcy (Malinda Williams) and Blair (Karon Riley) announced that their pending nuptials would come early than expected—like Christmas Day. Excitement brews as planning for a wedding, family traditions and scandalous dark secrets threatened to cast a damper on the entire season. (You’ll have to watch it to see how it all turns out). 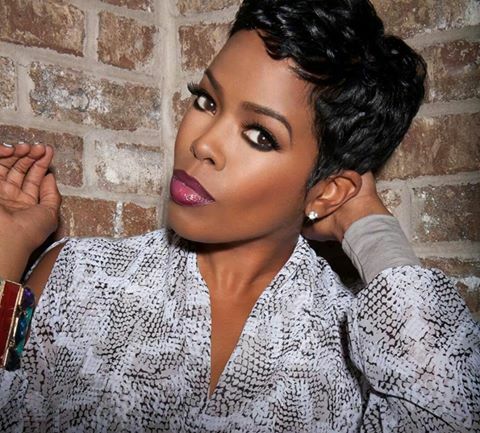 Detroit CEO Magazine caught up with the lovely Malinda Williams to talk about the relationship and love dynamics of the film and the importance of depicting wholesome images of black love throughout the media. Here’s what she had to say. Hello Malinda how are you? I am awesome thank you. It’s good to speak with you again. Well I live in Los Angeles so it always takes me a minute to realize that it’s the holiday season because the season hasn’t changed, the leaves didn’t change and it didn’t get cold. So it’s not until the lights start to go up that I go oh right it’s Christmas. Indeed. We do receive the four seasons here in Michigan. Congratulations on another amazing film. You look phenomenal as always. I already know most of your beauty secrets so keep up the great work. Oh thank you. I appreciate that. You’re welcome. And speaking of such, the wardrobes on this film were amazing would you agree? Yes. We had a really great wardrobe department and let me tell you, I always commend wardrobe. I think it is the toughest gig on any film or television project. I mean there are so many changes and so much shopping. And then sometimes things don’t fit. Sometimes it’s the wrong colors and they’re clashing. It’s just so much to have to keep in mind of matching and continuity until I really commend our wardrobe department on this project because they did a great job—and it’s not an easy job to do. Malinda what are your thoughts on how this film emphasized important issues on love and relationships? I think one of things that it focused on is this idea that honesty is the best policy and that there really isn’t room for secrets in the relationship. We saw that with my character Marcy Jewel and my fiancé Blair, and how we’ve come to realize that each one has been keeping a very important secret from the other. It really threatened to jeopardize everything that they built as well as what they intended to build going forward. So if you’re in a relationship or have been in a relationship and I’m sure that everyone has at this point, you’ve thought about should I tell my partner that or should I share that. It really makes you think about those kinds of conversations. Trust issues developed as you both seemed to lead with a quiet hand. What do you feel were some of the critical points about love and trust reflected in the film? It really was about being on the same page and communicating. I think that’s one of the things you saw in the film where Marcy and Blair—even though there was this one thing that each of them did not properly communicate to each other, overall, communication existed where they had to consult one another. It was where if we’re going to build a life together that we’re going to have to figure out how to do each thing we want to do together. So there were lots of things they had to compromise within the relationship for the relationship. There were lots of things that were true in terms of what lots of couple go through. I agree. Many junctures in this film were very relatable to the real world especially with mom, played by Victoria Rowell, dating a younger man who was really a suitable mate for you. Do you think that would be really hard for you in real life or is love—love? Well listen I would like to say that I’d think that love is love. I would love to say that. However if confronted with that in reality, if my mom were to date a younger man (and by the way my mom is happily married to my father). But if my mom came home saying I’m dating someone that you should be dating, I really don’t know how I’d feel about that (laughing). I’d be very uncomfortable. I get it. How important do you think is it for the world to see images of healthy black love? Not perfect images, but progressive images of two people working together. I cannot stress the importance of us seeing those images of ourselves in love and love relationships. First of all it is rare that we get to see that. So when those images aren’t depicted in media, we tend to think that they do not exist. We then begin to emulate what we don’t see or what we think is unimportant. And so for us to be able to see couples working through issues and staying together, or even if they are not staying together but it’ still very amicable then that is always a good thing. They’re grown-ups. They are able to communicate and love one another. That is so important because I believe the most important thing is love. God, love and family are the three most important things. So yes we need to see a plethora of those images in film and television, books, art and everywhere. And like you said, it’s not just about being perfect, it’s about being true and progressive. There is no such thing as perfect people. There’s no such thing as perfect love, but whatever it is, we need to see it. You had great chemistry with Blair and everyone on the set. Is there a ritual you perform to ensure all your roles fit for you and the cast? Well you definitely have to look at the script and determine whether or not you’ll be able to bring authenticity to the character. That’s number one. In my opinion if you can’t do that then leave it alone. And as far as chemistry, you’re so right because I do tend to have great chemistry with my co-stars and I think it starts with knowing that I can bring that authenticity to that character and so I fit in the role. It is not a role that is so far outside of that what I believe. And I’m also very genuinely happy to be working. And I am happy to be working with the people that I’m working with. So even if I don’t have a relationship outside of that project with that particular actor, I’m excited to be there with them. And that comes through as chemistry. I always ask is there anything you learned about yourself with this project? (Laughing) Interesting. After seeing it and watching the characters go through what they went through, it really just reinforced how important communication and understanding is. It is understanding and having compassion about what the other one is going through. That has to go both ways in the relationship in order for it to be progressive as you stated. That is definitely one thing that made me take a second look. Were there any instances on this film where you add-lib? There was definitely quite a bit of ad-libbing. We didn’t change anything, but our writer encouraged us to be natural. She wanted us to make it more real and authentic. She really encouraged that. The UPTV Network promotes wholesome programming for the entire family. Would you agree that there’s definitely a need for more of this? Oh I love UPTV and Aspire TV which is the sister network. And you are so right, we need those alternatives. And so I’m very excited about the programs they are doing. I do the Aspire Network’s Talk Show EXHALE so it is very uplifting, helpful, educational and fun. Are you currently working on additional programming for EXHALE TV? Yes we are starting our third season this coming January. So look out for the new episodes to surface probably in late spring. Malinda what are some of your favorite holiday traditions? My family gathers together at my mom and dad’s house. It’s my immediate family as well as some of my extended family. And one our favorite traditions is the ‘GRAB BAG’. This is where we play a game where everyone takes a number and the gifts are all lined up on the table. You then get to pick your gift based on what number you pulled. And everyone who has already pulled can either pull from the table or they can pick someone else’s gift. So that is very fun. And some of the gifts are great and some are really crappy. So it’s always fun. Thank you Malinda and congratulations again on a great film. Happy holidays to you. Check the UPTV network’s program listing to see Marry Us For Christmas—a movie for the entire family and connect with Malinda Williams on Twitter @MalinsWorld. Leslie J. Griffin is a certified Life Coach, fitness advocate and Celebrity Entertainment Editor for Detroit CEO Magazine. Connect with her on Twitter @OneStopCoach.